JACOBSEN – Linda Jacobsen, 68, of Pine Meadow, Connecticut, died unexpectedly on Thursday, November 1, 2018 at Hartford Hospital. 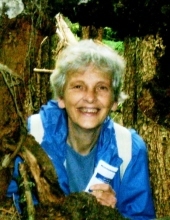 Linda was a life long resident of Connecticut and at the time of her departure, resided in New Hartford with her life partner, Michael Butler. Linda is survived by her brother, Jerry Chirico and his wife Claudette Baril of New Hartford. Her brother, George Chirico and her parents, Gerald Chirico and Arlene Jepsen, preceded her in death. Linda graduated from Northwestern Regional High School and Northwestern Community College. She began her career as a self-employed business owner. For the past twenty-five years, Linda was the Sales & Customer Service Manager for Green Mountain Stoves, a business owned by her brother, Jerry. Linda was recently retired and enjoyed travels to Alaska, gardening in her backyard and house painting, which she found to be restful and satisfying. Her friends and family will always remember Linda for her kindness to others. The family would like to thank Linda’s close personal friend, Sandy and her family for their friendship and loving care during the family’s hour of need. Funeral services are private. Montano-Shea Funeral Home, 5 Steele Rd., New Hartford has care of the arrangements. Visit an online guestbook at Montano-shea.com. To plant a tree in memory of Linda Jacobsen, please visit our Tribute Store. "Email Address" would like to share the life celebration of Linda Jacobsen. Click on the "link" to go to share a favorite memory or leave a condolence message for the family.